December is a magical time in New York, especially if you have little ones. Here are the top things to do in NYC this month. From outdoor events to holiday celebrations to special exhibits, there is something for everyone. December is a magical time in New York, especially if you have little ones. Here are the top things to do in NYC with kids during this special time of year. Enjoy a little time spent outside before it gets too cold! 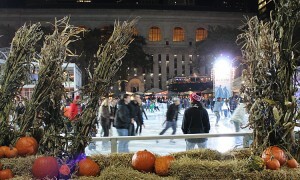 Kids love ice skating, and the city boasts a number of great rinks, including our favorites in Central Park, at the Rockefeller Center, and in Bryant Park. 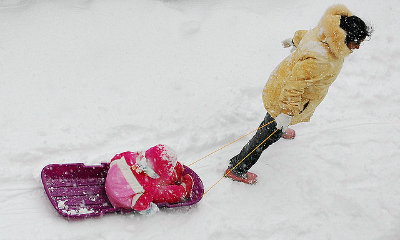 Make the most of a snow day and go sledding. You’ll find hills in parks around the city, but for a thrill, we recommend the bigger hills in Riverside Park. Head up to Inwood Hill Park on December 5. It’s the perfect time of year to spot migrating owls. Bring your own binoculars or borrow a pair from a Ranger. Spend the longest night of the year doing something fun! Catch Paul Winter’s Winter Solstice at Cathedral of St. John the Divine from December 17 to 19 (including a daytime show on the 19th). This annual extravaganza of music and dance celebrates the spirit of the holidays and is a great alternative to more traditional shows. Take part in Make Music Winter, a free outdoor musical event on December 21 that turns the audience into music makers! Both you and your kids will enjoy this participatory musical parade that covers a variety of musical genres. December is the perfect time to warm up inside while enjoying a show. 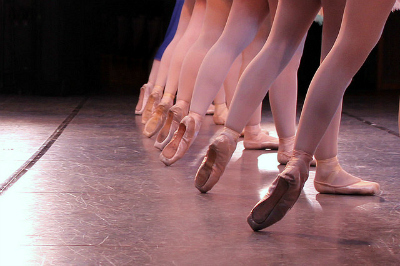 Seasonal favorites, including the Radio City Christmas Spectacular and the American Ballet Theatre’s The Nutcracker, will put you in a festive spirit. If that’s not your thing, why not head to the theater? The New York Times has a great roundup of family friendly shows! Stop by the American Museum of Natural History on December 6 for the “Special Folding Fun Session” led by the experts at OrigamiUSA. Sign up for a special session where your kids will learn to fold animals, stars, action models, and much more! Find out “How’d They Do That” at the MOMA. Free tickets are handed out on a first come, first served basis every Saturday and Sunday for this fun event for 5 to 10 year olds. You and your kids will both enjoy lively discussions and fun activities while looking closely at modern masterpieces and cutting-edge contemporary art. 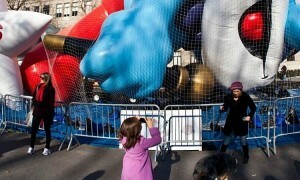 Of course, we can’t mention things to do in NYC without mentioning the holidays! 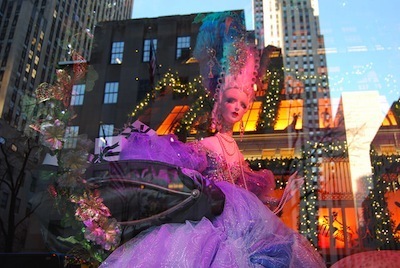 Get in the seasonal spirit by walking up Fifth Avenue to take in the holiday window displays. From tiny shops to huge department stores, each window seems better than the last! 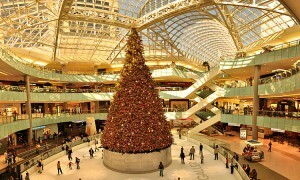 After checking out the windows, stop by a holiday market to do a little shopping. The Holiday Shops at Bryant Park are full of fun treasures and are conveniently located just steps from Fifth Avenue. Celebrate the Festival of Lights on December 6 at Grand Army Plaza, where you’ll enjoy the lighting of the world’s largest Hanukkah Menorah. Your kids will love this interactive song and dance performance where they can sing, dance, and even learn some Yiddish.